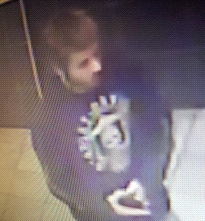 The Ottawa Police Service West Criminal Investigations Unit and Crime Stoppers are seeking the public’s assistance in identifying a male involved in an assault. On Thursday March 29th 2018, at approximately 0915hrs, an unknown male entered into a business located in the 3600 block of Strandherd Drive. Within a few minutes, the suspect exited from the business and got into a confrontation with the victim over a parking issue. The victim was assaulted by the suspect. The suspect punched the victim in the face and then fled the scene in an older light silver 4 door vehicle, part of the front bumper is missing . 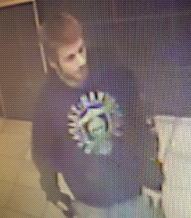 The suspect is described as a white male, 25-30 years old, 5’3’’ in height, French speaking, slender build, blonde short hair with a beard. Please see pictures below provided by investigators. If you know the identity of the individual call the Ottawa Police Service West Criminal Investigations Unit (613) 236-1222 Ext 6553 or Crime Stoppers toll-free at 1-800-222-8477 (TIPS). Remember Crime Stoppers does not subscribe to call display, we will not ask your name or record your call and you are not required to testify in court. If your information leads to their identity, you could qualify for a cash reward of up to $2000. You can follow us on Facebook, YouTube and Twitter.